Hey there all, hope everyone is enjoying the warmer weather. 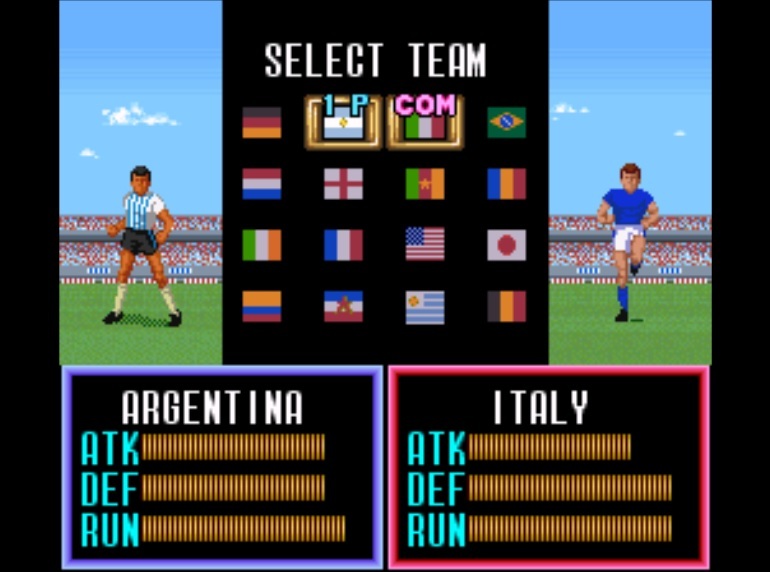 As you may or may not know, the World Cup kicks off on the 12th, so I’ve decided to prep myself by reviewing an old favorite, which has surprisingly aged rather gracefully; Super Soccer! 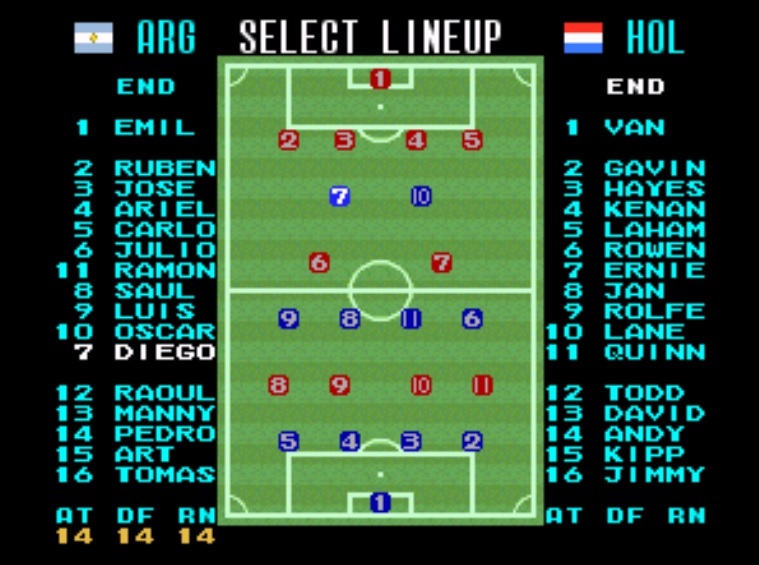 I remember playing this game a lot as a kid, because all (read: most) of my friends were into soccer during that time period. It’s a great sport, and while I have little faith the USMNT will actually win the whole thing, I am fond of their manager and what he’s done. With that being said, let’s dive in headfirst back to 1992. They at least have the testicle physics working properly! As you can see, the players may or may not be moonlighting as Chippendales dancers, or at the very least effeminate male strippers. One of the more interesting things of this game is how some of the players are based on actual ones. Diego (despite being number 7 instead of number 10, come on Human Entertainment!) 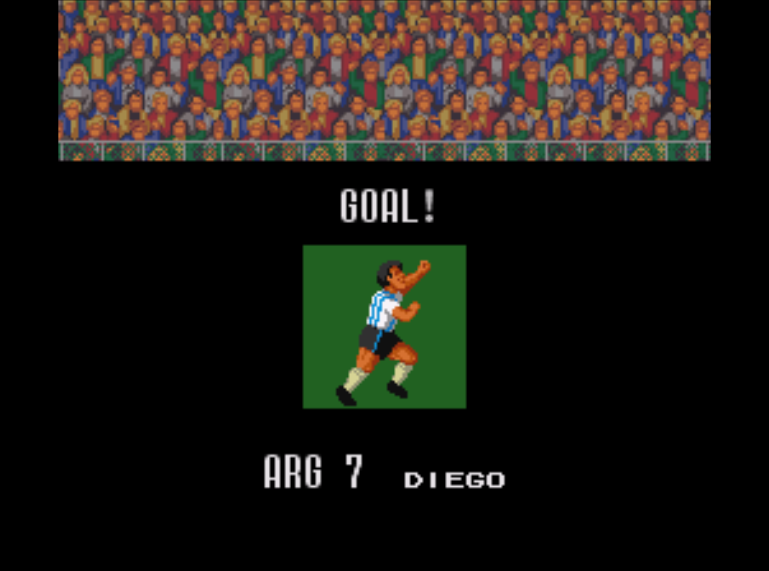 was obviously based on Diego Maradona, the world’s best player at the time. Other notable ones are “Lotar”, based on Lothar Matthaus and captain of the German World Cup winning squad of 1990. But my personal favorite has to be “Loco”, the Colombian goalkeeper based on Rene Higuita, who was equally known as “El Loco” due to crazy stunts like running out of the box to dribble up the field or doing his famed “scorpion kick”. Aye Dios Mio, 14 defense is probably a little too high for him. For it’s time, the view of the field was pretty neat. 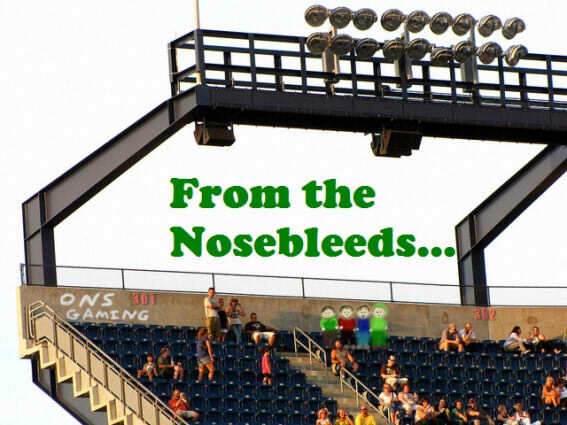 It showed the field vertically, and the goal was always in view. Nowadays most soccer games have the camera horizontally, and it moves as the teams move. The game’s unique camera style made use of the Mode 7 chip, as seen in later games like Turtles in Time, Star Fox, and Super Mario Kart. Other than that, there’s nothing really interesting going on here graphically. Looks like your standard 16 bit sports game. On the other hand, the gameplay is simple, but underneath that candy coated shell of simplicity is actually a deeper layer of game mechanics. 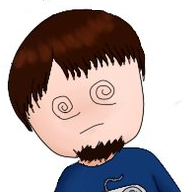 Your face buttons do a variety of things, on the offensive side (when you have the ball), there’s a couple different types of passes and shots you can use. The ‘B’ button will have your player hit a long ball, with enough time to control another player to get under it. This would have been better if the height differences were shown, but everyone is pretty much the same height in this game, so you’re probably better off sticking with low passes (and the occasional through ball, when you get a chance). However, if you hit a long ball to the side, you can cross it and try to head it in the goal. Sometimes this works better than you’d think. They idolized him and then crucified him. What? I was talking about Maradona! The other notable thing was adjusting your formation. 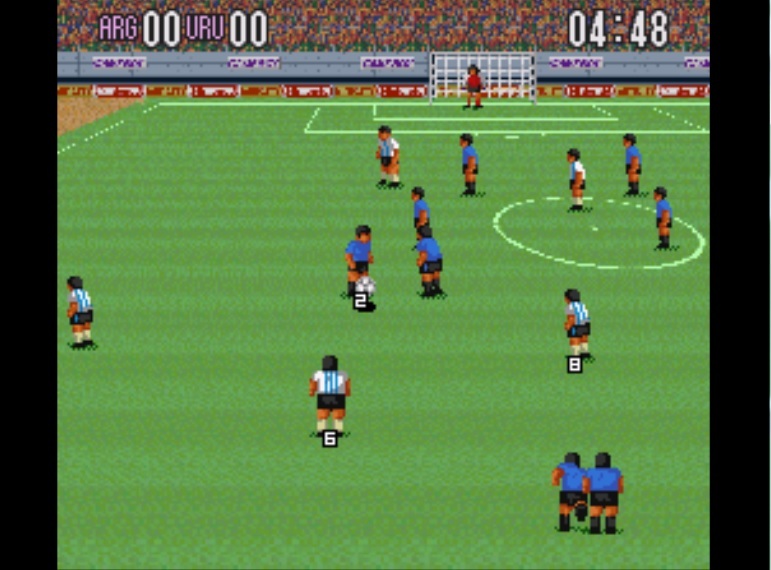 The game has a variety of popular formations you can line your team up in. This adds a whole new layer of strategy. If your opponent lines up in a 4-2-4, are you gonna lineup 4-4-2, or risk going 3-5-2 at a chance of completely overrunning his midfield? You set your formation once at the beginning, and again at halftime. Sometimes I’ve gotten a huge lead and switched to the ‘Sweeper’ formation (which is just a fancy 5-2-3) to make sure my team holds on for the victory. Alternately, there’s a 2-3-5 formation for when you’re down by a slew of goals yourself. Much like a real life manager, you have to decide what tactics work best for your team. The developers could have been lazy and just made everyone play 4-4-2 (the dominant formation at the time) and figure that it would all work out. Tecmo Super Bowl is guilty of this, as no matter what team you play always lines up as a 3-4 on defense. On the flipside, being that Super Soccer focuses on the game at the international level, there are no club teams and no season mode. Which is a bummer, but for what this game does, it does well, albeit with a few spots I think they could have improved on. It’s not quite the Tecmo Super Bowl of soccer games, but it definitely has a special place in my heart for pretty much teaching me how to play the sport I knew nothing about. So that’s Super Soccer, and while it wasn’t a game changer, it would be a while before we’d get something as good and revolutionary as ISS98. But that review is for another time!